With a Year-End Tax-Deductible Gift by December 31st! 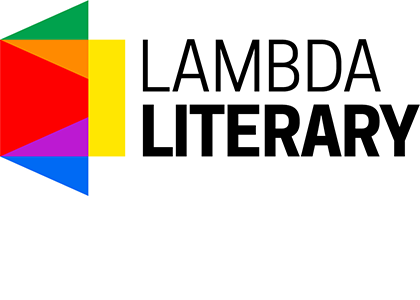 As the end of the year approaches here at Lambda Literary, we reflect on our 2014 achievements which have been made possible because of you, our dedicated supporters, and the brilliant lesbian, gay, bisexual, transgender and queer literary communities that bring meaning and beauty to so many people around the world. Please consider making a year-end tax-deductible donation to Lambda Literary to help us continue this vital work through 2015. With record attendance of over 500 people, the 26th Annual Lambda Literary Awards honored the best LGBTQ literature in 24 categories and also presented awards to ground-breaking authors, Alison Bechdel and Kate Bornstein. The Writers Retreat for Emerging LGBTQ Voices convened another successful residency nurturing our most promising up-and-coming writers. 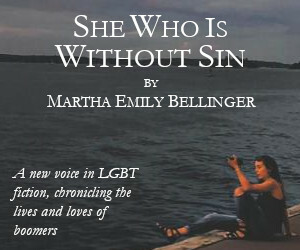 We also announced that the Retreat will add an LGBTQ Playwriting workshop to the summer 2015 residency that already features workshops in Fiction, Genre Fiction, Nonfiction and Poetry. We re-launched our popular website at Lambdaliterary.org with a sleek, responsive design that adapts to whatever device you’re viewing it on such as an iPad, iPhone, tablet, Kindle, or computer. We redesigned our organization’s logo to be direct, simple, and clean and to encapsulate our mission of nurturing, preserving, and celebrating LGBTQ literature. Lambda Literary partnered with respected publications such as Slate Magazine and OUT Magazine to syndicate our book reviews and author interviews expanding our media reach even further. The Lambda Literary Review published over 200 book reviews and featured in-depth author interviews with leading writers such as John Waters, Emma Donoghue, Saeed Jones, Jonathan Lethem, Sarah Waters, and Michael Cunningham. Lambda’s LGBTQ Writers in Schools (WIS) program entered into a partnership with the San Diego Unified School District to offer WIS to their high school students. We launched “UNABRIDGED,” an author series designed to bring nationally acclaimed LGBTQ writers to areas outside of large coastal cities. Our first event was in Santa Fe, New Mexico and featured Ana Castillo, Andrew Holleran, and Justin Torres. Lambda Literary participated in the Annenberg Foundation’s “Alchemy+” Program for high achieving nonprofits. We received a record 800 book submissions for consideration of the 27th Annual Lambda Literary Awards to be held June 1, 2015 in New York. Please support Lambda Literary with your year-end tax-deductible donation by midnight on New Year’s Eve. 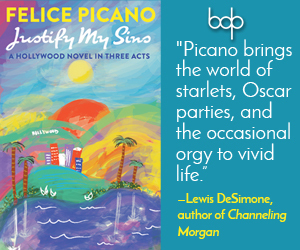 Make your gift of $35, $100, $250 or more–whatever you can afford – and help us continue our work of preserving, celebrating and advancing LGBTQ literature. On behalf of the Staff and Board of Lambda Literary, thank you for doing your part during this year of exciting successes.